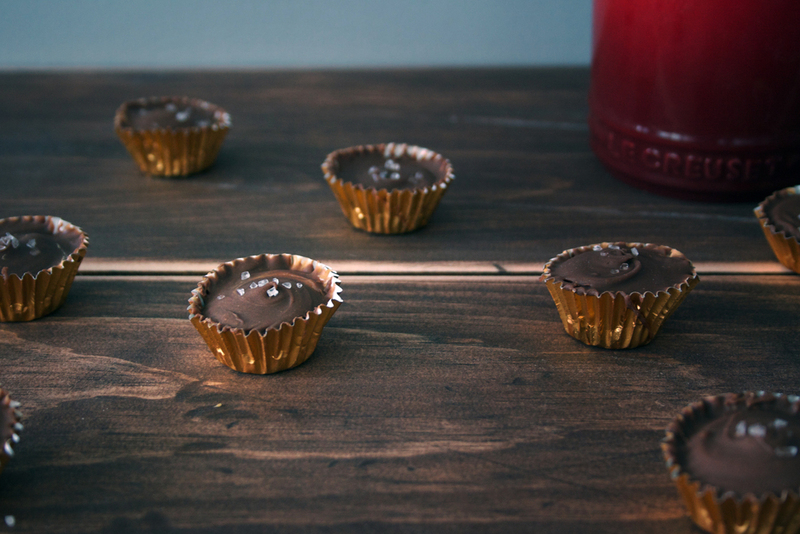 D.I.Y peanut butter cups! these seriously taste exactly like reese's pieces peanut butter cups. 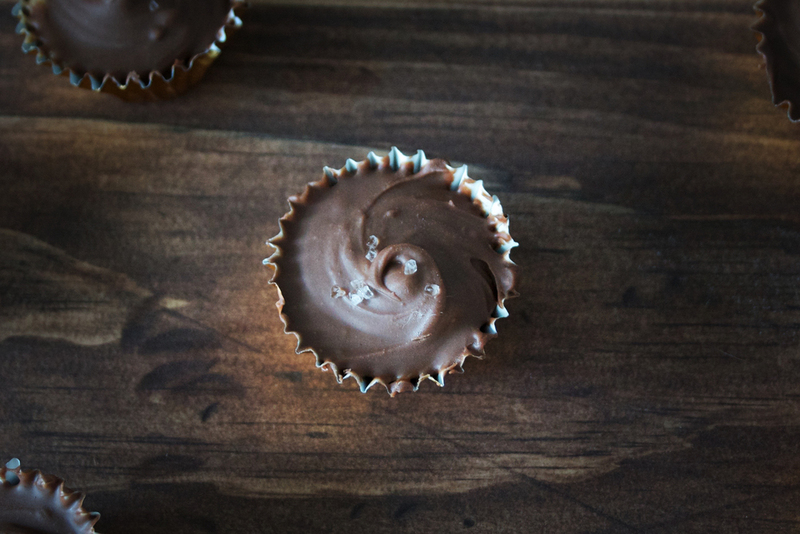 the pinch of sea salt on top sets them apart from any other peanut butter cup recipe you've tried. these are super easy to make and involve very few ingredients, probably ones that are already in your pantry. the most difficult task when i was making them was trying to separate the gold foil cupcake tins without destroying them! i swear wilton glued the stack of wrappers together and was playing some sort of prank on me. in a microwave safe bowl melt the milk chocolate chips in 30 second increments, stiring each time. 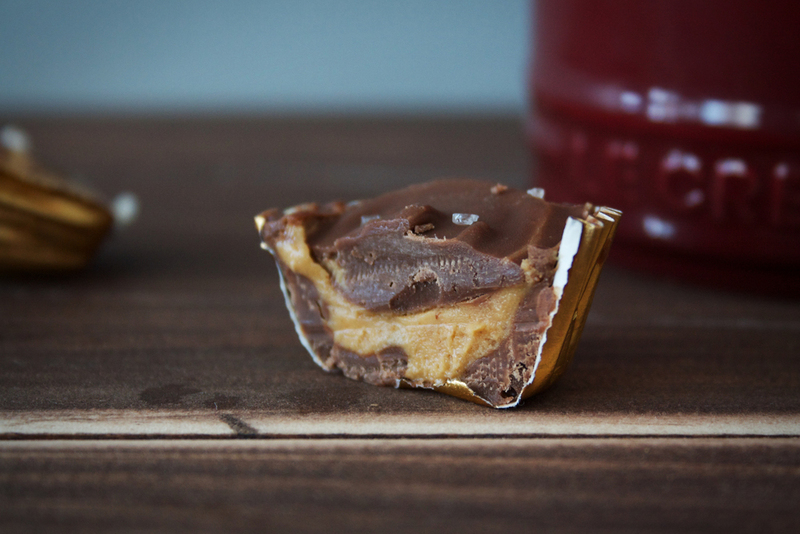 once chocolate is fully melted stir in 1 teaspoon of peanut butter. set aside. in a separate bowl mix remaining peanut butter, icing sugar, butter and vanilla until smooth and creamy. 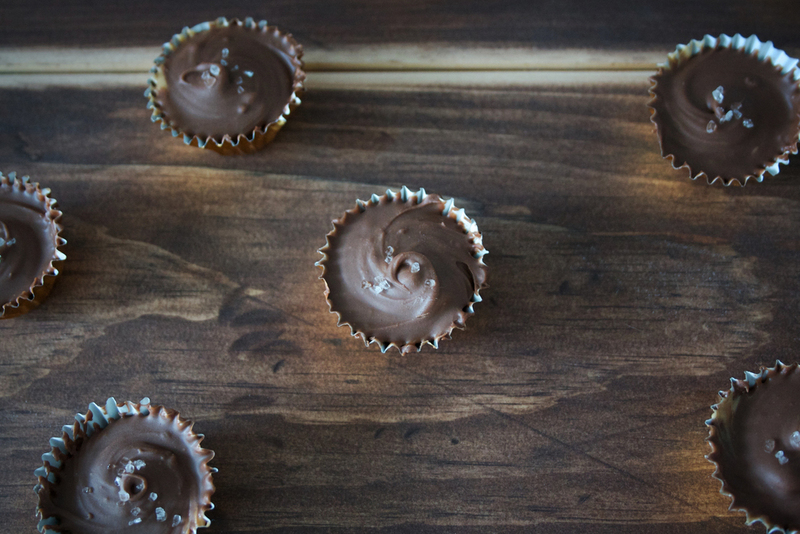 add a spoonfull of melted chocolate mixture to your cupcake wrappers. place in freezer to firm for 5-10 minutes. once base layers are solid add a spoonful of peanut butter mixture followed by a spoonful of melted chocolate mixture. finish off with a pinch of sea salt. repeat until you are out of milk chocolate. let firm up in fridge and enjoy! note: these are best when kept in the fridge or freezer. room temperature may cause the chocolate to become too soft.